In 1917 a fantastic publication was released by The Cleveland Topics Company called Beautiful Homes of Cleveland. Once you finish reading this post, you can find it in the Case Western Reserve online library. You can download it here. The author of the document was Andrew Squire, a lawyer who founded the firm that would eventually become Squire, Sanders, and Dempsey. 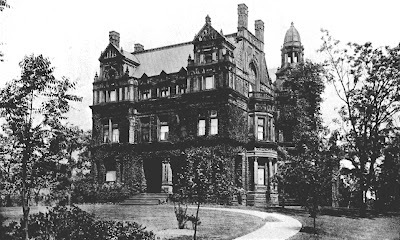 Andrew himself had a home on Euclid Avenue, which we will take a closer look at a bit later. In my examination of each part of the publication we're going to determine which of these historic treasures are still standing and what has become of the site if they are not. Some of the homes listed in the document do not have addresses, and just the street names are given. If you recognize a structure that I do not have an address for, please feel free to contact me. Let's start with Part 1 - The Euclid Avenue Group. The first residence we see in the document is that of Mr. Sylvester Everett at 4111 Euclid Avenue. Mr. Everett was in the banking industry and founded the National Bank of Commerce. He chose brothers Charles and Julius Schweinfurth to design his residence. The home would have been located at the northwest corner of the intersection at East 40th Street and was razed in 1938. The majority of the property at that intersection now appears to be surface parking. 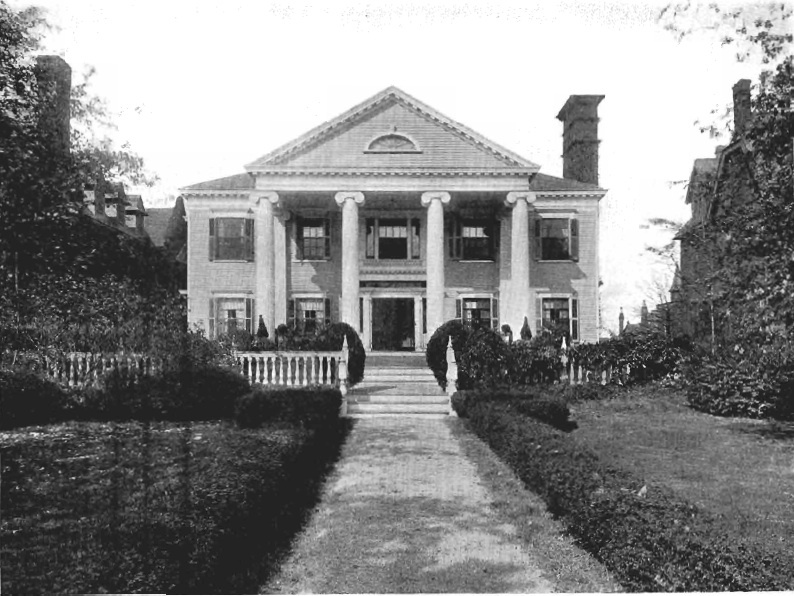 Next up we have the town home of Charles W. Bingham at 2157 Euclid Avenue. 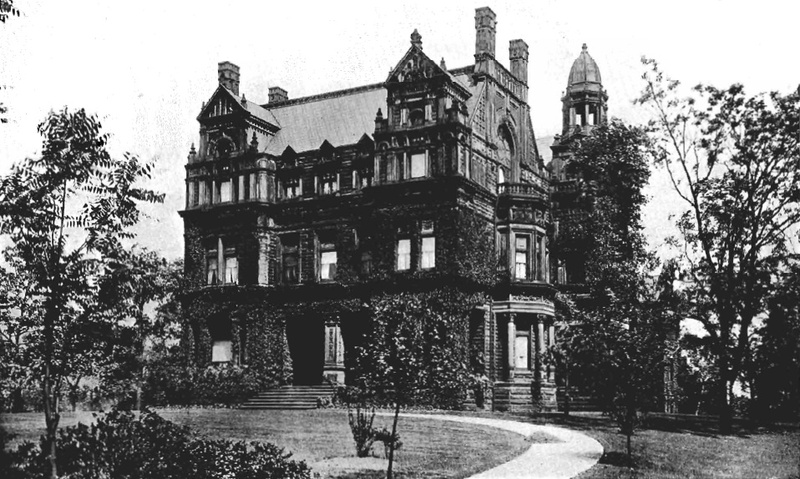 Charles served as a businessman in Cleveland. It's believed that he worked with his father in the iron industry and he did serve as the president of the Standard Tool company. His home was razed in 1959. 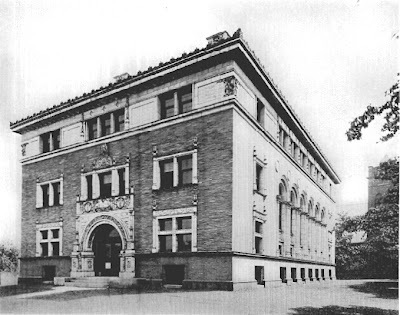 This site is on the north side of the avenue and stands most likely in the spot where the Cleveland State University bookstore is now located. 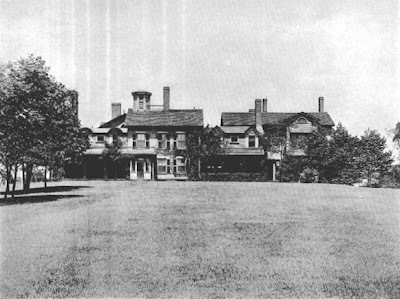 The next photo in the document is of Bingham's country home, which I will save for discussion in the Bratenahl series. 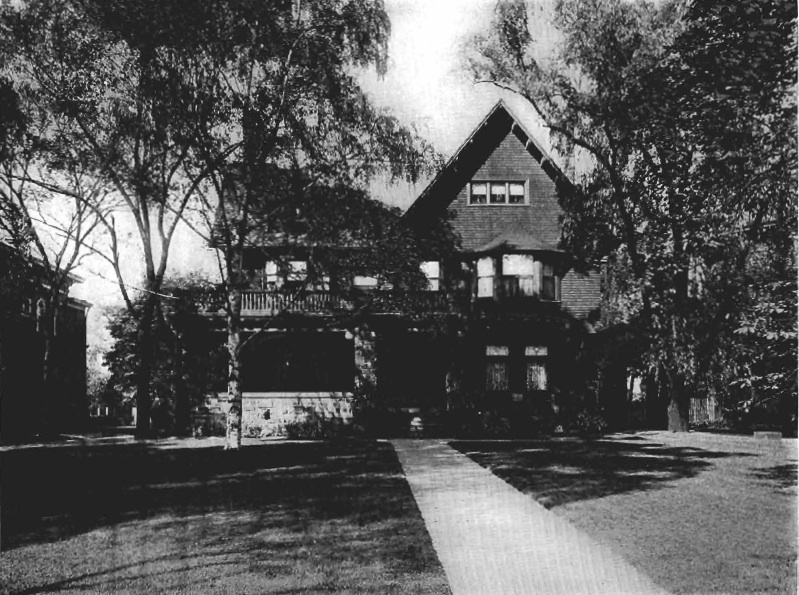 3233 Euclid Avenue was the home of the Carlin family. 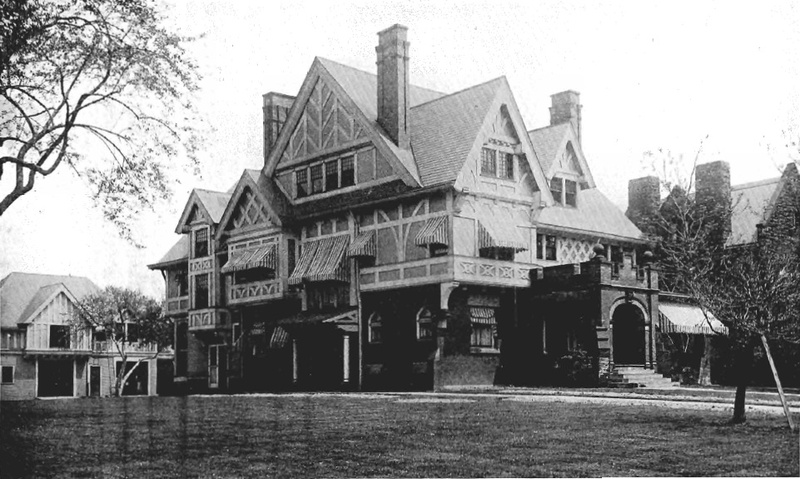 Anthony Carlin was actually the last to build a residence on the avenue having finished construction in 1911. 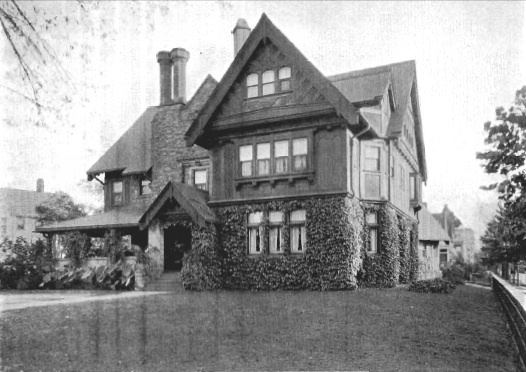 The home was designed by architect Adolph Sprackling. 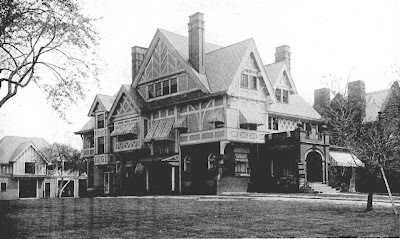 This home was still standing at the time of publication of Showplace of America: Cleveland's Euclid Avenue, 1850-1910 written by Jan Cigliano and published in 1991. But it's not there now. The corporate headquarters for Applied Industrial Technologies, built in 1997, now sits on the property. 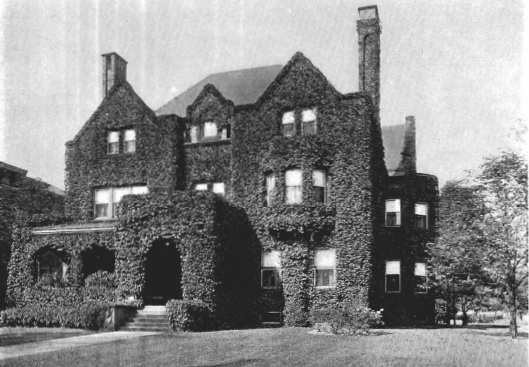 After the photo of the Carlin's home, you will see a photo of the original circle in University Circle, which you can learn more about in this article by Christopher Busta-Peck. This next structure at East 107th and Euclid Avenue was the home of the Western Reserve Historical Society from 1898 to 1941. The structure is no longer there, but it sat on the southwest side of the circle at University Circle. It appears that it may have been situated where there is currently parking for PNC Bank, next to the Children's Museum. 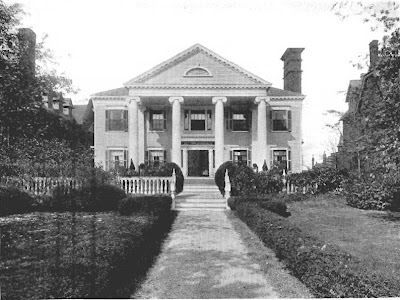 Mr. David Norton owned the next residence that sat at 7301 Euclid Avenue. Charles Schweinfurth designed this structure as well. Mr. Norton was a banker and a partner of the iron-ore company Oglebay Norton Company. Currently at this site, we have a large parking lot, along with a Famous Gyro George. 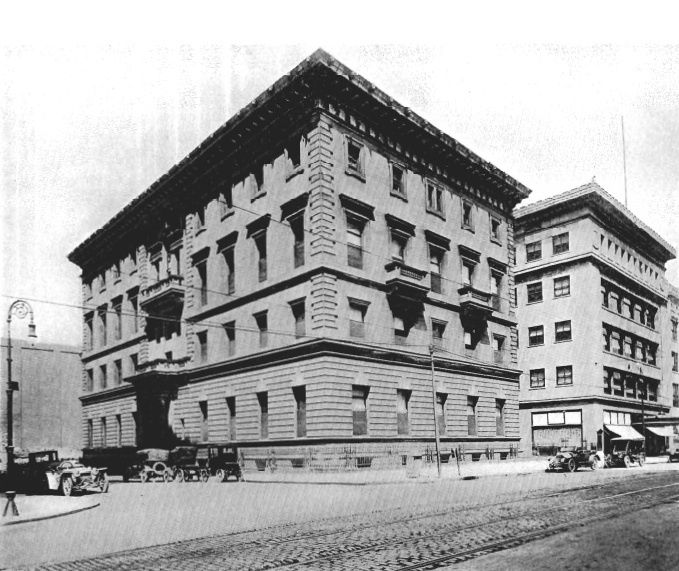 The Union Club, which still stands at the northeast corner of East 12th and Euclid, was designed by Schweinfurth. The Union Club still offers much of what it did in 1872 including private membership, dining, and special events. It's one of the few structures that has a happy ending in this article. Meade and Granger designed 8806 Euclid Avenue for Mr. George Welch. Mr. Welch was the first vice president of Sterling, Welch & Company, eventually becoming the Sterling-Lindner Company, one of Cleveland's largest downtown department stores. If you couldn't guess by the address, the remains of this structure are buried somewhere deep beneath the main entrance to the Cleveland Clinic. Another Meade and Granger designed home was built for Luther Allen who was cited as a banker, manufacturer, railroad executive, and an original trustee of the Cleveland Trust Company. The address is 7609, and believe it or not, it appears that this structure may still be standing behind this facade and scaffolding (that was erected several years ago). Here Mr. Squire features a photo of his own home at 3443 Euclid Avenue, which was another Schweinfurth masterpiece built in 1895. 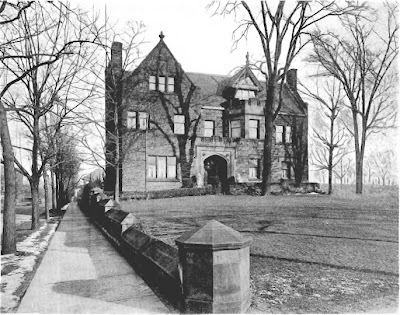 This home was on the north side of the street, on what is now the Applied Industrial Technologies campus. Mr. William A. Price built 7801 Euclid Avenue in 1903. The architect for this home is unknown. This home was on the north side of the road and therefore would have stood in the area now occupied by the Midtown Plaza shopping center. 8411 Euclid Avenue was built by John J. Stanley. It was designed by Meade & Granger and built in 1893. 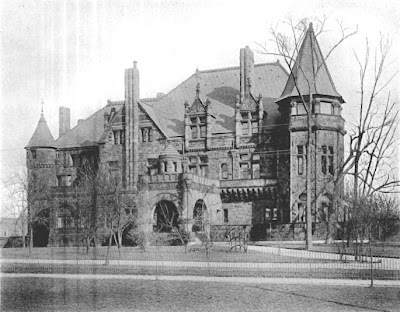 This home would have stood on the north side of Euclid where a set of row houses currently fills the block between East 84th and 85th Streets. It's hard to choose a favorite, but Charles Brush's home at 3725 Euclid Avenue definitely ranks in my top five. It was designed by George H. Smith (also responsible for Andrew's Folly and had a hand in the design of the Arcade). We know Charles Brush best as the inventor of the arc light and a forefather of General Electric. 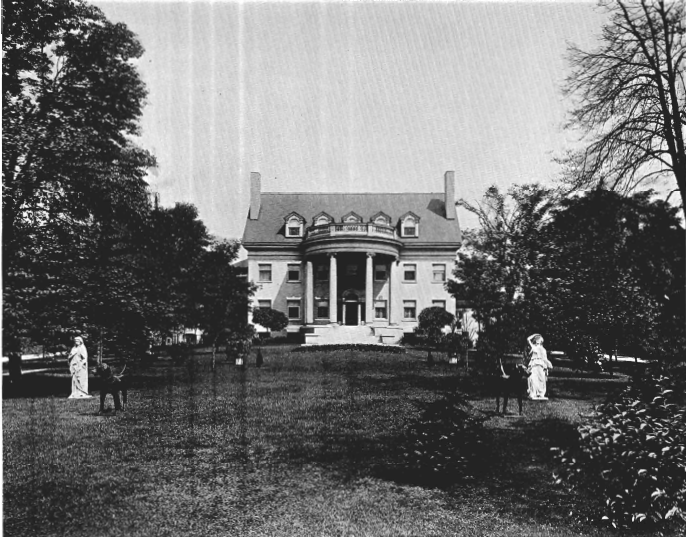 His home stood on the north side of the avenue approximately where the Red Cross building now stands. Charles recruited "celebrity" interior designer Louis Tiffany to design the lighting fixtures, stained glass windows, transoms, and skylights for his home. This is where we will break for the first segment of the Euclid Avenue Group. In the next section, we will move a bit off of Euclid Avenue and even past East 105th, which is traditionally where many experts break off the imaginary line of Millionaire's Row.